There was plenty of optimism surrounding the Oakland Raiders prior to the 2018 NFL season. Unfortunately, that hope has since been replaced by sheer uncertainty. The reports certainly are not doing head coach Jon Gruden any favors. However, it is easy to see why the players feel this way. The Raiders have made several moves this season that were questionable, to say the least. The nightmare started when Oakland failed to reach a long-term deal with Khalil Mack. The Raiders’ brass decided that they would instead trade him to the Chicago Bears for a package of quality picks. Unfortunately, Oakland now boasts the worst pass-rush in the entire league. To add salt to the wound, they decided that they would part ways with Bruce Irvin thereby eliminating any sense of stability in the group. The Raiders then followed up the Mack trade by dealing Amari Cooper to the Dallas Cowboys. Although Cooper’s departure undoubtedly stings, the fact that they were able to get a first round draft pick in return alleviates the pain a bit. Regardless, Derek Carr is still left with a lackluster receiving corps moving forward. 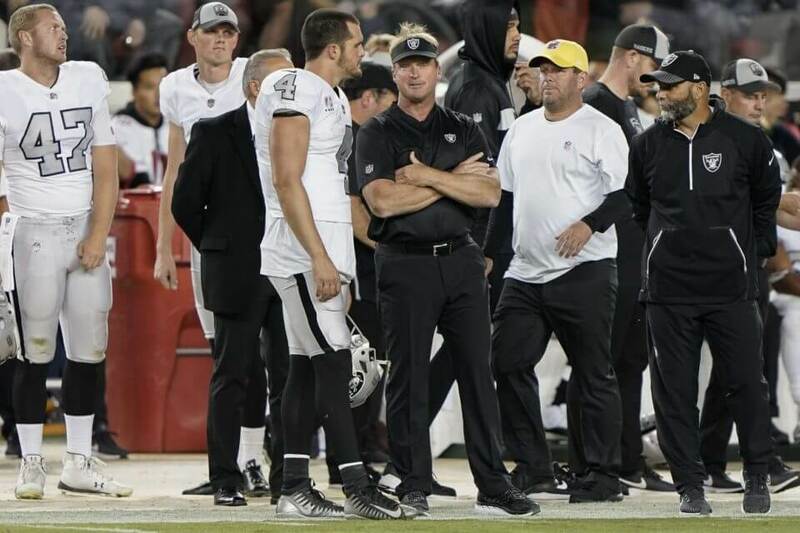 There is no question that the Gruden era has gotten off to an​ abysmal start on the field. It appears their struggles have started to carry over off the field as well. Gruden recently declared that there are plenty of players ‘dying’ to play for the Raiders. Unfortunately, reports such as these are beginning to prove otherwise.